I can't take full credit for this idea. I saw the J. McGuire do this in one of her videos. 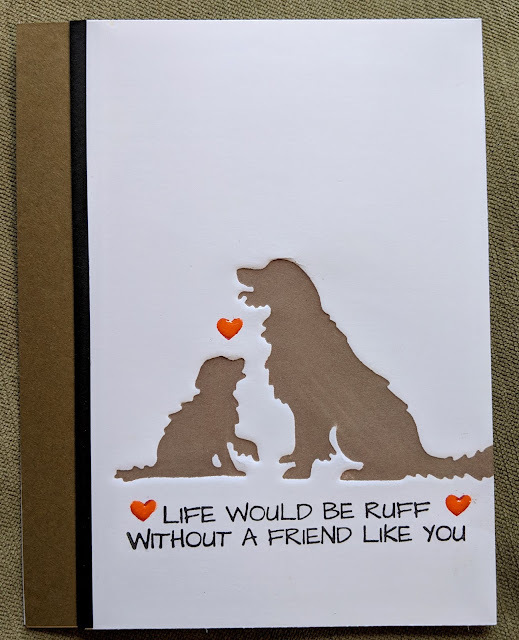 I used the die cuts to stamp and deboss the paper. It is simple, but stunning. I wanted to give it a try. 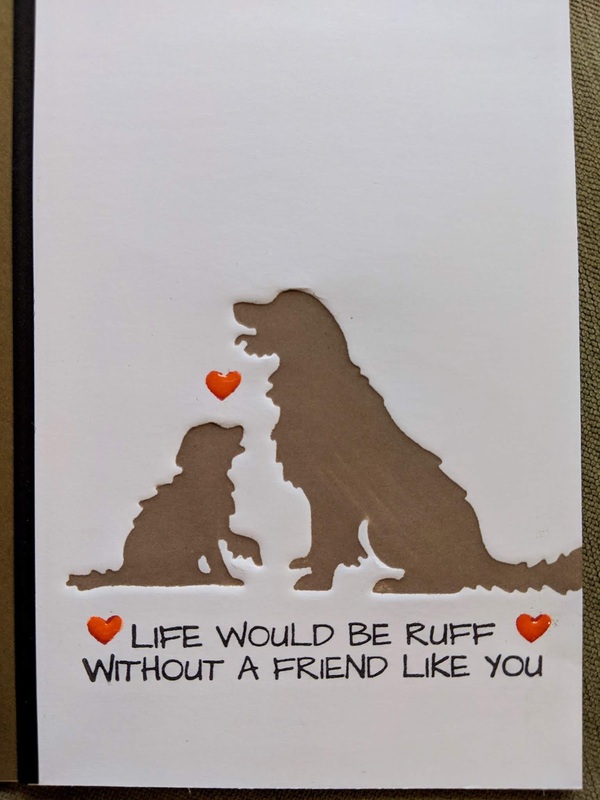 I used Spellbinders dog dies to create this card. I'm glad to have this technique in my bag of tricks. I finished it off with glossy accents.